Andy Warhol and Jean-Michel Basquiat’s complex relationship captivated the art world then and now. At a time when Warhol was already world famous, synonymous with Pop Art and New York City’s hair-raising club nights, Basquiat was a Downtown talent rising from the graffitti scene. Together, they forged an electrifying personal and professional partnership not soon to be forgotten. At different ends of the avant garde, the two artists inspired and adored each other, but such intensity inevitably sparked fierce rivalry, jealousy, and ultimately, betrayal. As a prolific documentarian of his own world, Warhol the mentor extensively photographed his turbulent friendship with Basquiat, played against the backdrop of 1980s New York. 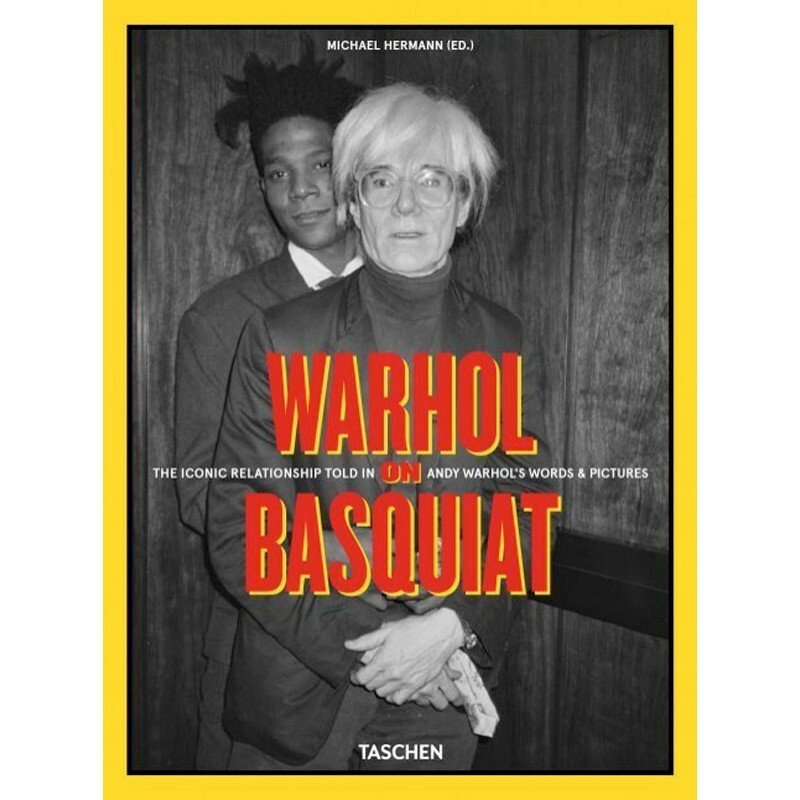 Produced in collaboration with The Andy Warhol Foundation and Jean-Michel Basquiat’s estate, this book chronicles the duo’s short but monumental friendship in hundreds of never-before-seen photographs of Basquiat and friends. Entries from the legendary Andy Warhol Diaries complement the shots in Andy’s deadpan prose and selected collaborative artworks. A moving introduction by Paige Powell, close friend of Warhol and Basquiat’s girlfriend, offers a first-hand account of their flawed friendship. Warhol on Basquiat reveals an artist on the cusp of breakout fame—troubled, but talented and ambitious—and a touching, intimate glimpse into the personal lives of the post-war’s brightest starts.